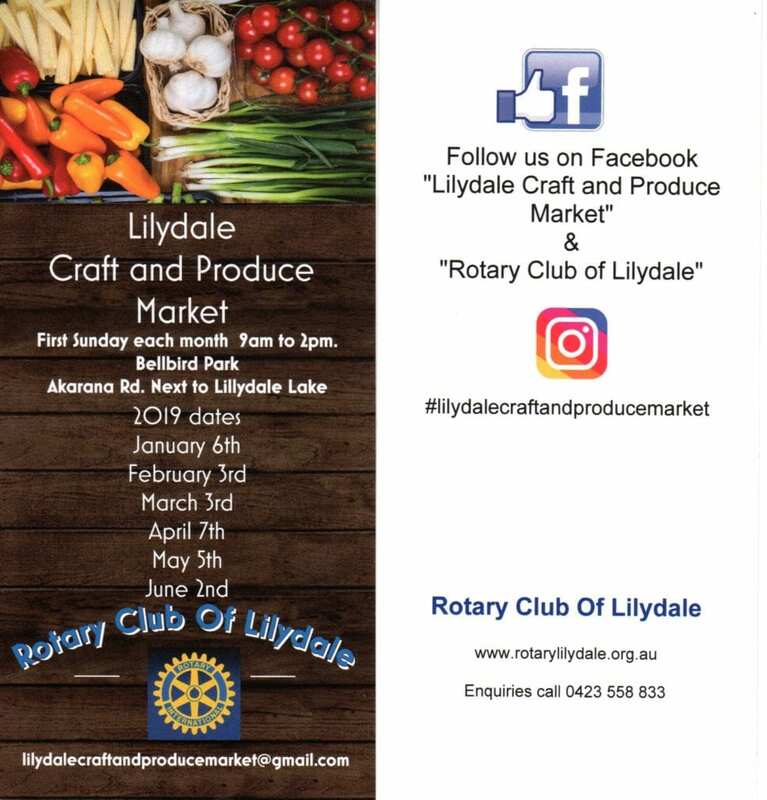 Effective of January 2017, the Rotary Club of Lilydale announces a name change and introduces a new market logo. This market has been operating since March 2009 and has raised in excess of $160,000.00 which has been put back into a range of Rotary programs. A broad mixture of loyal stallholders, providing a range of produce, fare and plants. Market Dates for the first half of 2019 are listed below.